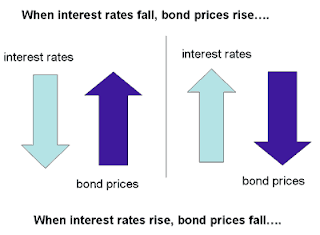 If interest rates are falling then bond prices must be rising and if interest rates are rising, bond prices must be falling. 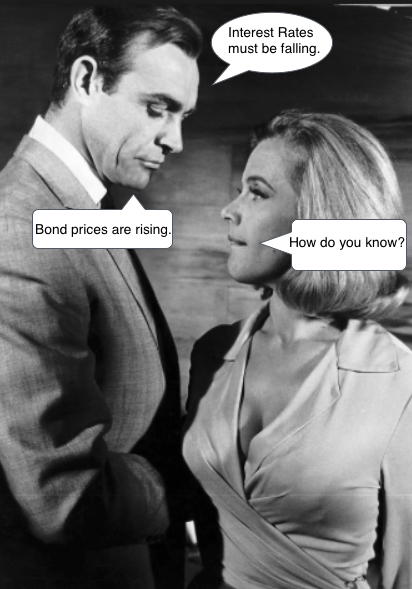 If the FED is buying bonds the NIR is falling, therefore bond prices must be rising. If the FED is selling bonds the NIR is rising, therefore bond prices must be falling. If the Demand for money is increasing, the NIR is increasing, and bond prices are falling. 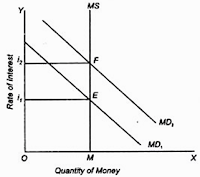 If the Demand for money is decreasing, the NIR is decreasing, and bond prices are rising. If Country A has a higher RIR than Country B, there will be an inflow of capital into Country A, increasing the supply of loanable funds, decreasing the RIR and therefore Bond prices will rise. If Country A has a lower RIR than Country B, there will be an outflow of capital from Country A, decreasing the supply of loanable funds, increasing the RIR and therefore Bond prices will fall. i. 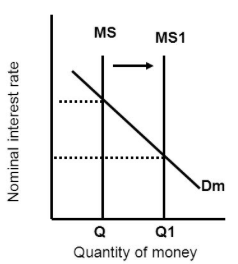 The Fed will buy bonds,, the MS increases and the NIR will fall. The Federal Funds Rate is the rate of interest that banks use when making loans to each other.. If the NIR falls the FFR will fall. ii. What happens to the price of bonds?? If interest rates fall, Bond prices rise. When the FED buys bonds the NIR falls and Bond prices rise. 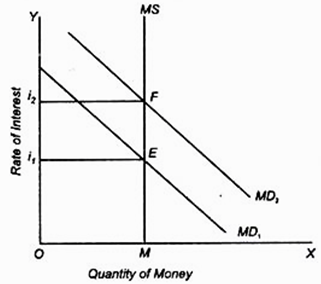 (a) When the demand for money decreases, the NIR will decrease. 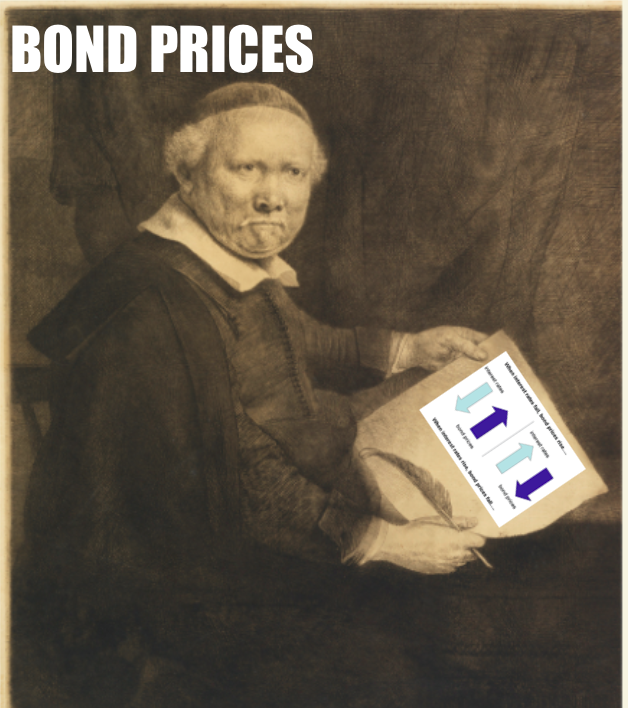 (b) When NIR falls, Bond prices rise.